Spring is here and although we may be seeing the odd flurry of snow, the sun is starting to shine and it’s time to get our houses looking spotless. No one looks forward to spring cleaning, but once it’s done your house will look bright and fresh, ready for the year ahead. There’s no point diving head first into your spring clean if you haven’t got a plan in place. You need to sit down and make a calendar of what you are going to clean and when, this way you have a structure to follow. Start of by working out how many hours you have free to do the cleaning and when you want it to be done by. If you need to, decide whether your priority is to hoover, wash windows, de-clutter or paint walls, this way you can get the most important things done first. Cleaning is so much easier when you have all the equipment you need. 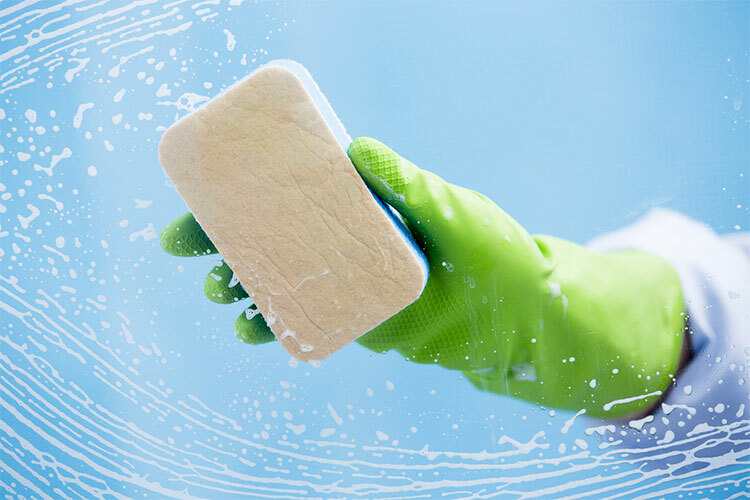 Trying to deep clean your house is a very hard task if you are making your own cleaning products and working with only one or two clothes. Write a list of all the cleaning tasks you want to get done and work out the different equipment you will need for each. Check the filter on your hoover and make sure you have all the different cleaning products you need. One of the best ways to spring clean your house and make sure everything gets done and you pace yourself is to work from top to bottom. Do a room at a time and will you find it much easier to keep track of your cleaning progress. Choose one type of cleaning at a time, such as hoovering or tidying up, then work down through your house in an organised manner. You can use a checklist as you go to make sure nothing gets missed. If you’re giving your house a deep clean, then you should never tackle it alone. It will take half the time to get your cleaning done if you get your partner or children on board too - the more hands the better. Give everyone a job and make the cleaning fun - put music on and sing together, and make sure everyone gets a nice cup of tea and a biscuit at the end of it. No one wants to be achy and tired at the end of a long day, and doing your spring clean as a family will make the whole thing quicker and easier. One of the main ways that houses can become cluttered and untidy is because people love to keep “things” that they don’t necessarily need any more. It’s easy to buy new things and keep them in your house, but it’s much harder to throw something away. When clearing out your house, a good rule of thumb is to use the six month rule - if you haven’t used something or worn something in the last six months, then the chances are you won’t miss it if it’s gone.